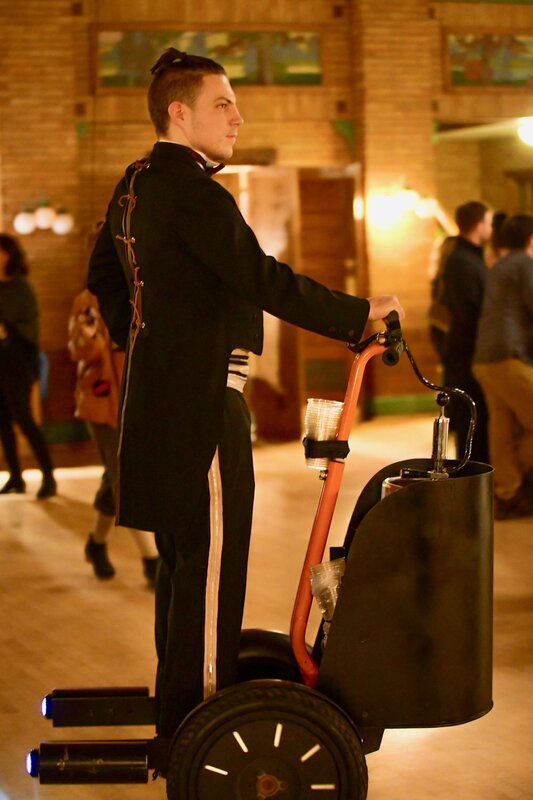 New Moon’s newest beverage service device artfully pairs a real, working Segway with premium craft beer service in this one-of-a-kind contraption to provide pint after pint of mobile spectacle refreshment in every corner of the event space. A certified Kegway operator pilots the device safely through dense crowds, dispensing ice cold beer to eager guests. The Kegway is a straightforward crowd favorite that never fails to please.